Marine mammals have some intriguing features in their biology - the ability to dive to crushing depths, to perform breath-hold dives that defy our current understanding of mammalian physiology, and many have an ability to hunt down prey using sophisticated sonar that we are only just beginning to understand. Many species also have complex social structures. We still have much to learn about these extraordinary animals so a comprehensive and authoritative overview of current methodology is now timely. The intention of this book is both to summarize the state-of-the-art and to encourage innovation and further progress in this research field. 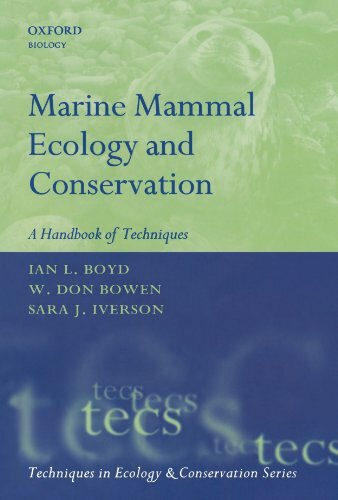 Professor Ian Boyd is the Director of the Sea Mammal Research Unit at the University of St Andrews, Scotland. He has worked for over two decades on marine mammals, mainly the Antarctic fur seal but has recently changed focus to study beaked whales in the tropics. He is a Fellow of the Royal Society of Edinburgh and has received several prestigious awards including the W.S. Bruce Medal for his research in polar science and the Zoological Society of London's Scientific Medal. Dr. Don Bowen is a Senior Biologist at the Bedford Institute of Oceanography, Dartmouth, Nova Scotia, Canada. He is also an adjunct professor at Dalhousie University and a former Division Chief of the Marine Fish Division at the Bedford Institute of Oceanography and former editor of Marine Mammal Science. He has focussed most of his research since the early 1980s on north Atlantic pinnipeds, especially grey seals.He is one of the world's leading marine mammal population ecologists. Professor Sara Iverson is a faculty member in the Department of Biology, Dalhousie University, Halifax, Nova Scotia. She is a physiological ecologist and is a leader in the field of trophic ecology of marine mammals and seabirds through her development of fatty acid signature analysis to derive information about predator diets. She has received a number of prestigious awards for her work including the Canadian Natural Sciences and Engineering Research Council's E.W.R. Steacie Memorial Fellowship. 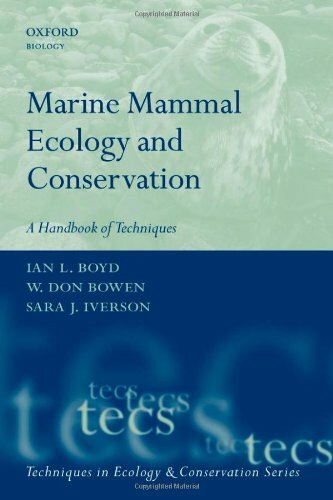 Editore: Oxford University Press, U.S.A.
Boyd, Ian L./ Bowen, W. Don/ Iverson, Sara J.